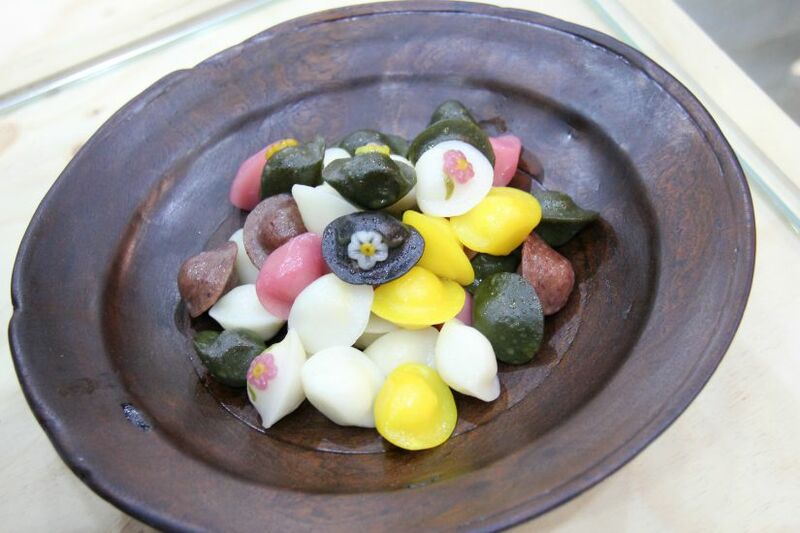 A sweet treat called songpyeon – usually filled with a sesame paste. Credit: Korean Tourism. As a little girl, one of the things I looked forward to in the fall was when my grandmother would make these delicious beef patties that were delicately covered in a thin layer of egg. They were probably a little bit bigger than a half dollar coin and I could eat stacks and stacks of them. These rounds of goodness were a part of a more elaborate table setting that was in honor of my late great-grandmother. In addition to the beef patties, there were stacks of fruit, dates, noodles, and many other types of food. My grandmother’s kitchen would be a bustle of activity. Nobody explained to me that this was part of a mid-autumn celebration called Chuseok. I just thought it was the day we paid respects to my deceased great-grandmother and part of a Buddhist celebration since my grandparents were Buddhists. Later on, my grandparents converted to Christianity and we stopped setting up the elaborate tablescape. I didn’t realize that setting up the table in honor of our deceased relatives and ancestors was part of Chuseok until now. We would set up a similar table to honor our ancestors and deceased relatives. Credit: Korean Tourism. Since I was clueless about this significant Korean holiday, I called up my grandmother to verify what I discovered on the internet and to finally understand Chuseok. My first question to her was if Chuseok was similar in idea to Thanksgiving. 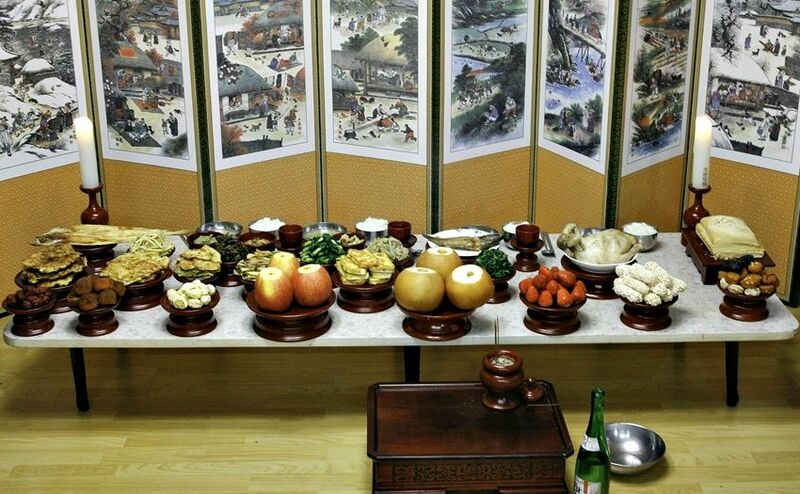 Many times, Chuseok is referred to as the “Korean Thanksgiving” because it happens in the fall, you get several days off, extended family usually gets together, and there is always a table full of food. However, it is NOT Thanksgiving. It is a significant holiday more similar to New Year’s, according to my grandmother. She told me that extended family get together and honor ancestors and also go visit their grave sites. The table we used to set up was a part of that and you would bow in front of it to pay your respects. She said that we do this to say thanks for the new year of harvest and for our ancestors watching over us. Who wouldn’t love some SPAM? Perfect gift. I hope someone will send me a SPAM gift box this year. I’m excited to celebrate Chuseok (According to the Lunar calendar this year, it falls at the end of September.) and eat all the foods with my family. I know many other countries in Asia also celebrate a mid-autumn festival. How do you celebrate? Oh, and don’t forget to call your grandmother. Happy Chuseok! Our September blog carnival is all about our family’s fall traditions. 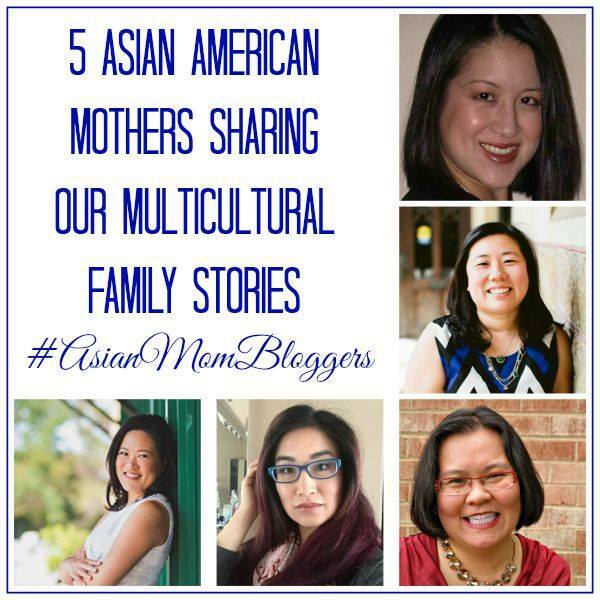 Check out what cool things my fellow #AsianMomBloggers and their family do when the weather cools down for autumn. You can’t go wrong with Spam! I love that food is an integral part of everyone’s cultural celebrations. I’m so glad I am not the only one who loves it! And yes – it’s all about the food! Lol! Yeah, I felt hungry for all the food, too. I am still trying to find a good recipe! Bicultural Mama recently posted…The Wiggles Rock & Roll Preschool Tour Comes to the U.S.
Lol! Yes – I even have one of those low Korean tables. It’s so much work! Did you know they sell fake casts that daughter-in-laws can buy to get out of all the work that goes into Chuseok? It sounds a bit like Rosh Hashanah! Interesting to see how the cultures compare. Happy Chuseok! I was thinking the same thing! The more I learned about Rosh Hashanah and Chuseok, I realized there were a lot of similarities. Hope you had a great new year! I love your family/food/tradition posts!! This is so interesting! Thank you for sharing. Love that spam is the gift to celebrate the harvest! The beef patty looks delicious. Please share the recipe. Thanks! I am still on the hunt for a good recipe, but I will post it as soon as I find one!